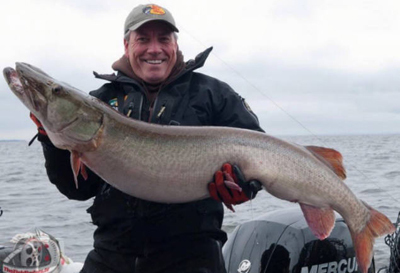 Lake Nipissing boasts some truly huge muskies including the 58 inch, world record catch and release musky caught in October of 2006. 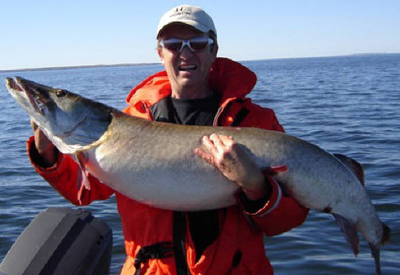 The Ontario Ministry of Natural Resources also reports netting a massive 70 inch muskie while test netting in the spring of 2008. 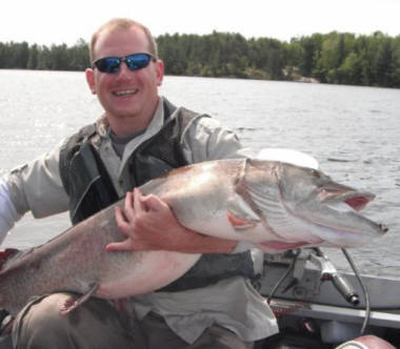 Big water equals big fish! Expect to catch a 50+ inch trophy here! 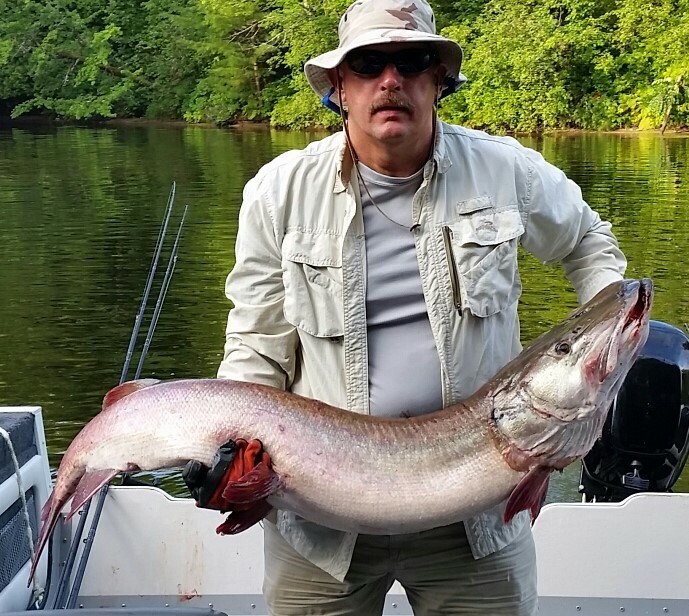 Beatty Creek (behind the resort) and the South River are muskie spawning grounds. Every spring yields a glimpse of what is really lurking out there! 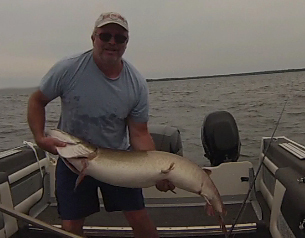 The best muskie fishing is to be had between early August and early December with late fall being trophy time. 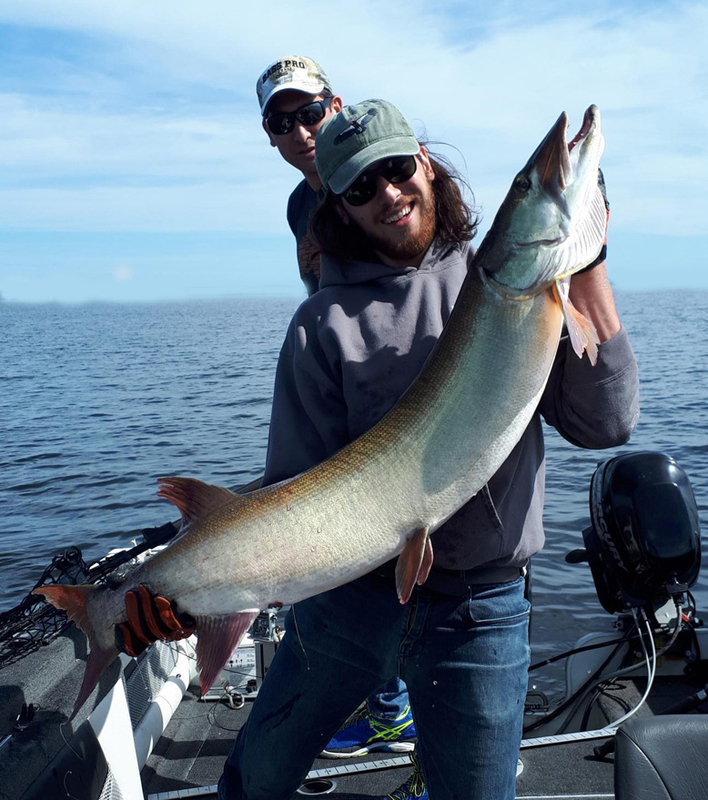 Depending on the time of year, look for muskies in the weeds, on deep weedlines, on or adjacent to the lake's many shoals or roaming in open water in search of a meal. 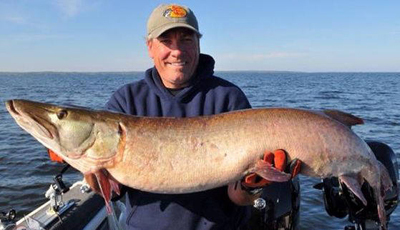 Lake Nipissing boasts some truly huge muskies including the 58 inch, world record catch and release musky caught in October of 2006. 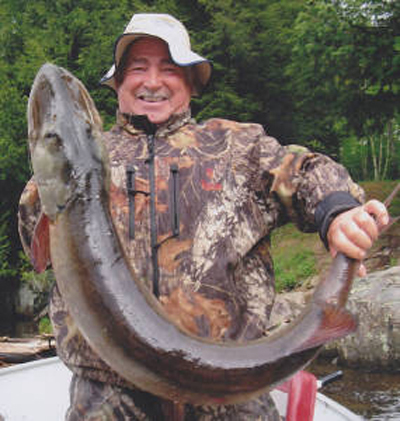 The Ontario Ministry of Natural Resources also reports netting a massive 70 inch muskie while test netting in the spring of 2008. Big water equals big fish! 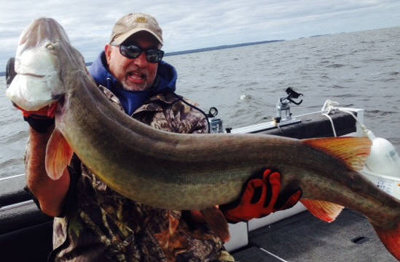 Expect to catch a 50+ inch trophy here! Beatty Creek (behind the resort) and the South River are muskie spawning grounds. Every spring yields a glimpse of what is really lurking out there!